Beginning this Spring, possibly as early as April, Disney World guests will be able to experience expanded usage of the Fastpass+ system. 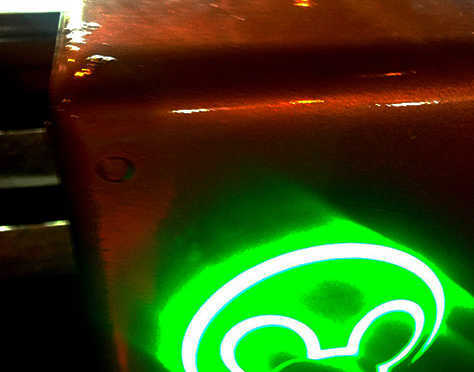 For quite some time, it’s been rumored about that Disney World would allow guests to choose a 4th (and subsequent) Fastpass+ using their mobile device, but the system wasn’t rolled out. Well, it appears that guests will be able to do just that. Use your first 3 pre-booked Fastpass+ in your park day, then use your mobile device to book another instead of traveling to a Fastpass+ kiosk. I love this addition! Hopefully the system will allow us to choose that 4the FP+ for a different park too. Another element coming to the parks is the final rollout of the Storymaker system that will allow certain rides to interact with you. it’s a small world is one attraction that already has screens installed at the end of the ride for this purpose. It’s nice to see more of the full system finally being used. What do you think? I keeps saying coming soon, glad I’m not holding my breath! They still haven’t announced anything. Still waiting 6 months later. Definitely a good move. I’ll be glad not to have to touch yet another screen everyone else in the world has been handling. Our trip isn’t until October but I am excited to be able to make additional FP+ by phone. Really hope they expand it so they can be at different parks for those of us Park Hoppers! I just got back yesterday and regularly had to wait in line behind at least 4-7 people (and this was on a day that most crowd calendars assumed would be a 3 for overall and a 4 for MK). My issue is that there aren’t ENOUGH kiosks. I feel it would have been helpful to have more scattered around MK, and at least one or two in the World Showcase. That’s nice but I have never had a problem at a kiosk. I never waited in line behind more than 2 people. That’s not the problem. The problem is that you should be able to get another fast pass as soon as you use your 1st one. Each time you use one, you should be allowed to schedule another one like the old system. Right now,by the time you use your 3, there is nothing left that actually needs a fast pass. Also, if you fast pass fireworks or a parade then you can forget about a fourth one. Also,the tiered stuff should go away. We should be able to select any ride we want. The other theme parks don’t have a problem with this. I wouldn’t even mind paying extra for the fast pass system if it meant it would work better. Yes! Great idea!! It was such a pain to wait in line at a kiosk – inevitably I would get behind 5 different people who had no clu what they were doing, and there were only so many CMs to help!! So excited! So excited about the possibility of the using my phone to get a FPP. I really hope that happens by 4/10! Happy about FFP updates. It will be a lot easier on smartphone verses trotting around to find kios and having to wait in line Good move Disney! Excited to hear that these changes might be coming! Getting a 4th FP+ from a mobile device would be much easier and less time consuming than traveling to a kiosk. We’ve often used the 4th FP+ option on our way to a ride and found last minute options available thus avoiding the line. Haven’t heard about Storyteller. Will need to look into that more! I’m very happy to hear about the expansion of FP+. Having to find and wait for a kiosk made a 4th FP impossible for us on our June trip last year. I’m also looking forward to expanded Storyteller. Still bummed about price increases though. Contemplating another trip in May 2017. I’m not familiar with the Storymaker. What is that? Hey, that’s great. I’m there in April. I would love to see this available as an option when we go.